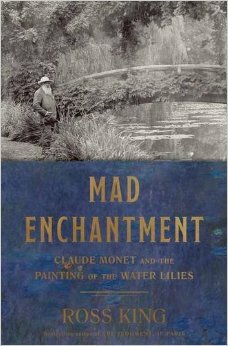 Mad Enchantment tells the full story behind the creation of the Water Lilies, as the horrors of World War I came ever closer to Paris and Giverny, and a new generation of younger artists, led by Henri Matisse and Pablo Picasso, were challenging the achievements of Impressionism. In his splendid Mad Enchantment: Monet and the Painting of the Water Lilies, Ross King brings to life the moving story of the aging artist’s last and most ambitious project ... In his inimitable style, art historian King takes a you-are-there approach to his subject, creating an intimate portrait of the imposing, often ill-tempered artist ... [a] stirring account of the last impressionist. ...a well-researched and in-depth account ... Unfortunately, as a narrative armature, the creation of Monet’s Grande Decoration isn’t sufficient to merit this 400-page account. King compensates with long digressions, many of them fascinating, into the larger social and political backstory. Of that, there is plenty ... The friendship with Clemenceau — who is one of the most colorful characters of any age — is the reader’s happiest reward in this book. ...an engaging and authoritative portrait of the aged artist and his travails ... 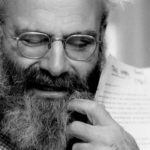 The Monet who emerges from King’s pages is a sympathetic and vivid character — less the wizened patriarch of French Impressionism than a crotchety septuagenarian afflicted with toothaches ... The friendship between Monet and Clemenceau amounts to its own fascinating story and resembles an odd-couple comedy ... The book is short on analysis and fails to definitively explain the role played by Monet’s illness in the development of his late style. Nonetheless, Mad Enchantment offers a moving portrait of the artist as an old man. What did you think of Mad Enchantment: Claude Monet and the Painting of the Water Lilies?